PopMatters' Sarah Moore speaks with Daptone Records co-founder Gabriel Roth about the recent Daptone Gold release. If you haven’t heard of Daptone Records, please get with the program. The Brooklyn label known for its retro soul sounds and commitment to vinyl recently released Daptone Gold, which is the ultimate "best of". Including 23 tracks of unreleased or rare recordings, a gold foil jacket, extensive liner notes, sticker and poster, the set offers a deeper look into the Daptone sound. Whether a burgeoning fan, Daptone aficionado or newbie, everyone will find something to love about this double-LP. The most famous act on Daptone is Sharon Jones and the Dap-Kings. Jones is a seasoned performer born in James Brown’s hometown of Augusta, Georgia. This coincidence actually seems to count for something, as Sharon’s performances recall that of the 1970s funk guru’s. As a band, they have gone on to work with Amy Winehouse, Michael Buble and They Might Be Giants, to name a few. Other artists on the label and double-LP include the Budos Band, Lee Fields, Naomi Shelton and the Gospel Queens, and several others. PopMatters’ Sarah Moore spoke with co-founder and owner Gabriel Roth, who had just returned home from taking a walk with daughter Penelope in Brooklyn. Roth also serves as bassist for the Dap-Kings and a studio engineer. PopMatters and Roth discussed the veritable gold mine that is Daptone Gold and what sets Daptone Records apart from other labels. 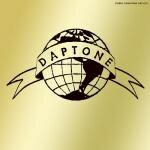 How did you choose the material on Daptone Gold? That was hard. There was a lot of haggling. Neil, Nydia, and I and Mikey at Daptone [Records] were sitting there arguing. Everybody had their favorite songs they wanted to put on. None of them are obviously number one pop hits but there are certain ones that we thought were classics that people say have to be on there. Then there are other obscurities and unreleased things. We couldn’t put everything on there. We kept coming up with tracklists that were 40-50 songs long. We kept fighting about it and working on it. We tried to get a real nice balance of the meat and potatoes some of the best songs from the label, the classic songs off Budos’ records and Sharon’s records. [We wanted] the things that those who aren’t familiar with the label could get a welcoming introduction. At the same time we wanted to make it something special for the devoted fans and wanted to make it a cool thank you. We put some things that were only on 45's and not on any albums, and [we] tried to make the packaging really nice including posters and downloads. My parents were into the oldies stations and whatnot. Aretha Franklin and James Brown, CCR, things like that. I think in high school I started buying a bunch of blues records. When my sister went to college in Georgia and I visited her and some friends introduced me to James Brown records and the Meters. So I got into 1970s funk, then later all kinds of soul music and gospel. I went into college and got into Fela [Kuti] and Afrobeat in the early 1990s. On tour I would eat at Ethiopian restaurants in D.C. and heard incredible music there. You have a one year old daughter, Penelope, with your wife. Do you find it hard to balance home and family life with Daptone? Definitely the hardest part of my life is trying to find a balance. Now having a daughter it's more inspiring and motivating to work, but at the same time I'm also inspired to come home from work. But I do my best. There are only a certain number of hours in every day. My daughter always wishes I was at home more and everyone at work wishes I were there more. Do you take Penelope to the studio at all? She likes playing with the knobs but maybe when she gets older she'll probably go there a little more. You also play with the Dap-Kings and Naomi Campbell and the Gospel Queens? Yes. But their [the Gospel Queen’s] bass player, Fred Thomas, played with James Brown for 35 years or something. He's the bassist on the road. When we recorded he was on the road with James Brown, before he died. So I played on the record. How do you get your bass sound so upfront? It's pretty simple. I just put the bass direct in, but I've got a good sounding bass. It's an old Carvin 1970. It's the only bass I've ever had. I bought it in a pawn shop for like 90 bucks. How is it different for a label to market to customers who buy vinyl records versus normal labels? I think in a number of ways [it can be different]. The first thing is that we put all of our efforts to make good records and unique records, records that people really connect with. And I think that because most of the marketing is word of mouth. Not that we don’t have great publicists and people who have helped us, everyone who gets the word out. But I think that just having the bands on the road and making records that people want to play for their friends really helps. That’s kind of the biggest part of promotion for us. As an independent label we know it's a niche market and a loyal fan base. We try to stay real true and in touch with that fan base. We do rely on people to turn other people on. I think not trying to be too big for our britches we've been able to keep our heads above water. Especially at a time when businesses in an industry are falling apart, we've been able to do pretty well for ourselves. We have a pretty conservative approach to our business. We don’t say let's try to sell a million records and spend a million dollars. We try to keep things realistic and make it so we can sell a few dozen records and share profits with the artists. In that way we've done well. Sharon Jones’ 100 Days [100 Nights] just last week reached the 100,000 mark in the States, which is a huge accomplishment for us. We aren't a major label with distribution or anything like that. It seems that being humble in your approach it makes it even cooler to like you. Like you said it's the word of mouth. People don’t like getting force-fed music. We don’t tell people that you've gotta buy this record because it's the cool thing to buy or your friends have it or you saw it on an episode [of some television show]; we try to keep it simple. We try to make records we love and we have a high standard. We don’t release anything unless we feel really great about it. I think people reward our being discerning with loyalty to our label. People expect a certain sound and a certain quality. Like with the Naomi Campbell record, we felt it could be better. The record that was released was mostly from the third set of sessions. We tried to record that album three times in 2005, 2006 and 2007. We went through the whole process and it felt good but felt like it could be better. I think a lot of labels look at those things and say "okay, the artist made the record and here is the budget." But we say we think we could make a better record. Let's shelve it and wait some time to get a better group and time and approach. The second time felt better but not great. The third time we felt like we had a really good record. It was a record I'd want to go home and listen to. Out of those seventeen songs, you cut it down to 10 or 11. In that way it's painful to make a record. Yeah, you don’t want to give up your baby! Yeah, but in the end you have something of higher quality you feel good about and happy to go to bat for. Whether you sell 10 or 10,000 [copies], you have something that you're proud of, what you did with your time. I think with that philosophy in making records. I don’t think we're ever going to be in a position to sell a million records because that's not the way it happens. Do you think that in that way you restrict yourself from exploring music that wouldn’t fit that mold? Actually, last year we put out a record that was completely a cappella gospel. It's called Como Now. It was a record a friend of ours [Michael Reilly] recorded at a church. He put out an ad looking for local gospel singers. He recorded a bunch of people and put together a best of. We listened to these recordings and it's the furthest thing from pop. We listened to these recordings. There's no drummer, and even though I'm Jewish I felt strongly about it. There is something moving about the soul of the music we connected to. Even though it didn’t fit in our catalog we put it out. We knew we wouldn’t sell a lot, we hoped for a thousand or two. But to answer your question, we don’t have any restrictions. The kind of record we want to listen to is the kind of record we'll put out. Do you think you'd ever put out a southern soul album? I think there's a real connection. Ray Charles made the connection the strongest. Maybe because he was blind or a genius, but he put out the record Modern Sounds in Country and Western Music. He was into the commonalities of really good country music and really good blues, and country meets R&B. [They have] the same flavor and same soulfulness and same sorrow, especially in the 1950s and 1960s. [It was] obviously a different struggle, but you're talking about, on either side, mostly poor people singing. Is that your daughter? Is she helping with the interview? Yeah, she answers all the hard questions.